We received a call from an expectant mother for a domestic rewire job in Lewisham. 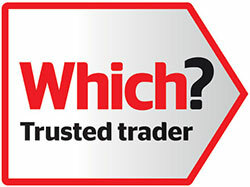 The customer found us through checkatrade.com. She was very concerned of the mess that would be made as she suffered from a dust allergy. Rest assured, I explained on the initial visit to quote price and timescale that we pride ourselves on managing any mess and assured the customer that we would keep the mess to a minimum and tidy as we go. Adding to the normal use of dust sheets for protection and to minimise mess, we vacuumed regularly throughout the day. At the end of every day we swept, vacuumed, mopped and wiped everything down with a damp cloth. This is normal procedure. But because of the customers’ condition, we were extra vigilante. Once the work had been completed the customer said the work had not affected her at all as well as praising us on how well we kept on top of preventing dust.